Pentair is known for its state-of-the-art devices which enable us to better enjoy our pools and spas and it has not disappointed us with the manufacture of this amazing pool pump. You have probably used a high-performance pool pump which worked a few months before it broke down and you are very cautious when it comes to purchasing a pool pump. 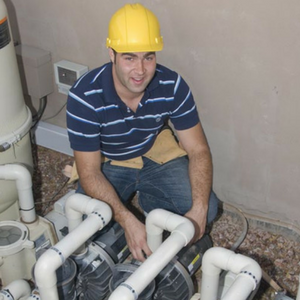 Well, you need not be wary of getting this Pentair pool pump and here is why. This pump has the ability to lower your energy consumption through the innovative technology used in the design. This, however, does not tamper with its ability to move water efficiently throughout your pool. In fact, this pump moves more water than other pumps at less cost, making it a viable investment. If you are worried about your carbon footprint, grab this pool pump and have a positive effect on your environment. Pool pumps can be quite noisy during operation and it can be hard for you to sit out and relax while enjoying the outdoors if your pump falls into the noisy pumps category. Pentair has built this pump through the use of an internal flow design that is of high quality which enables the motor to run quietly. The quietness is also aided by the fact that the motor has access to adequate ventilation, which allows it to operate in a cool atmosphere, thereby avoiding a situation where the motor gets overheated and produces noises. 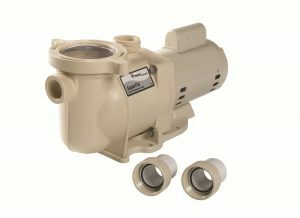 The body parts used in this pump are thick and this makes them resistant to conditions of wear and tear. The pump performs its duties with less pressure as compared to other pumps and this exposes it to less wear and tear, making it more durable. The strainer that is availed with this pump is of a very high capacity which enables it to hold debris accumulated over a long period of time without the need for constant emptying. The lid of the strainer allows you to see through it which eliminates the need to take the lid off to look into the strainer. To make the start up an easy job for you, this pump features a self-priming option. With a warranty of one year, you do not have to worry about what to do in the case where the pump malfunctions. Pentair will be very willing to take that problem off your hands and chances are that they will not have to as this pump is known for its durability. It gets noisier with time. To reduce this, replace the worn out parts.